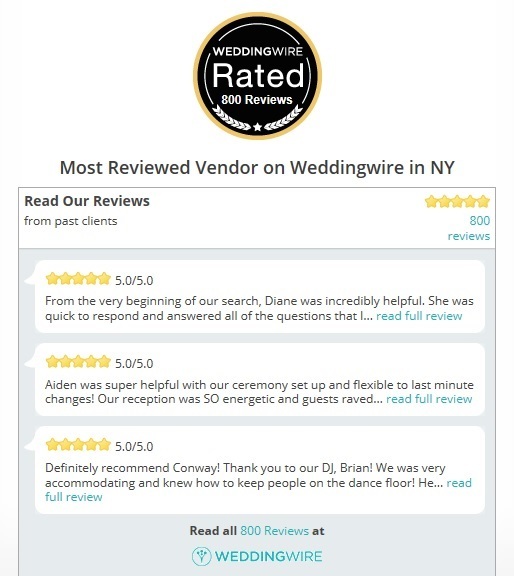 Recently receiving their 800th wedding review, Conway Entertainment is the most reviewed wedding vendor in all of New York State on WeddingWire! As of this year, they are also celebrating 25 successful years of business! 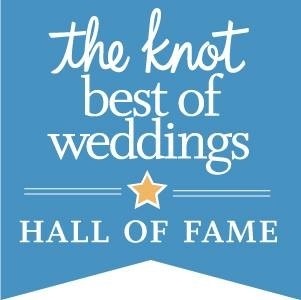 On top of these major accomplishments they are also on the highly regarded list of The Knot’s Best of Weddings Hall of Fame winners. The company’s proud owner, Adam Conway, attributes this success to his dedicated team of professionals and outstanding entertainers. Conway and his team meet with each wedding couple prior to the event to discover their specific wants and needs. 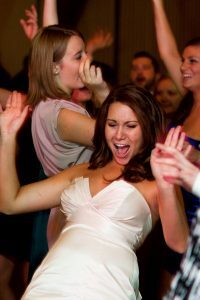 They customize the music to fit the taste of the clients and guests which creates the overall mood of the wedding. Paige on WeddingWire wrote, “Adam Conway and his team were unbelievably professional and fun. The party went on all night, and the dance floor was never empty! During the planning process, Adam helped put our minds at ease in the final weeks and was easily able to identify our style and exactly what we were looking for”. Their entertainment team works all over the capital region and beyond. If you’re looking for expertise, all their DJs have an average of 11+ years of experience. Each member of their staff brings a heightened level of energy and entertainment to your event, making it a night your guests won’t forget. Katie wrote, “He provided the perfect level of energy during the reception, keeping the party going without overwhelming the guests”. Numerous reviews also mention the wedding guests’ positive reaction to their DJ services, which is always a priority for couples! For instance, Felicia wrote, “To validate our experience, our guests raved (and still are) about the music he played and how the dance floor remained packed all night. Honestly, there wasn’t a dull moment!”. 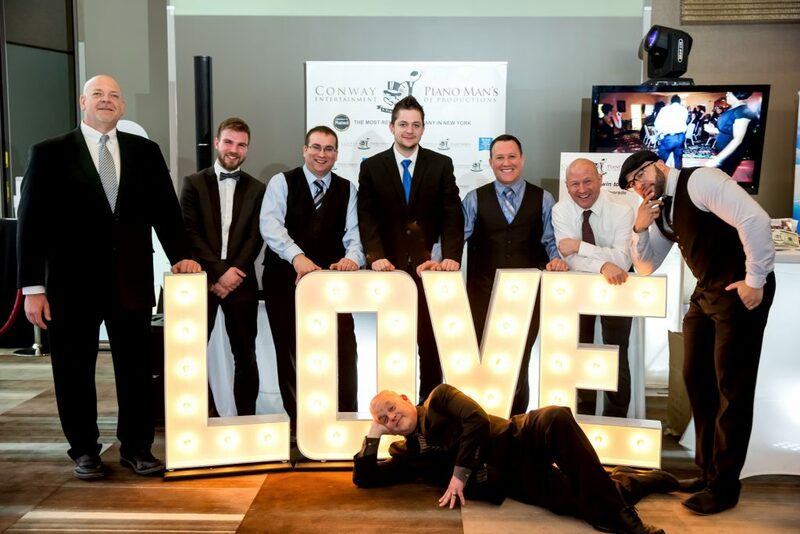 So consider one of our partners, Conway Entertainment, for your next wedding or special event!